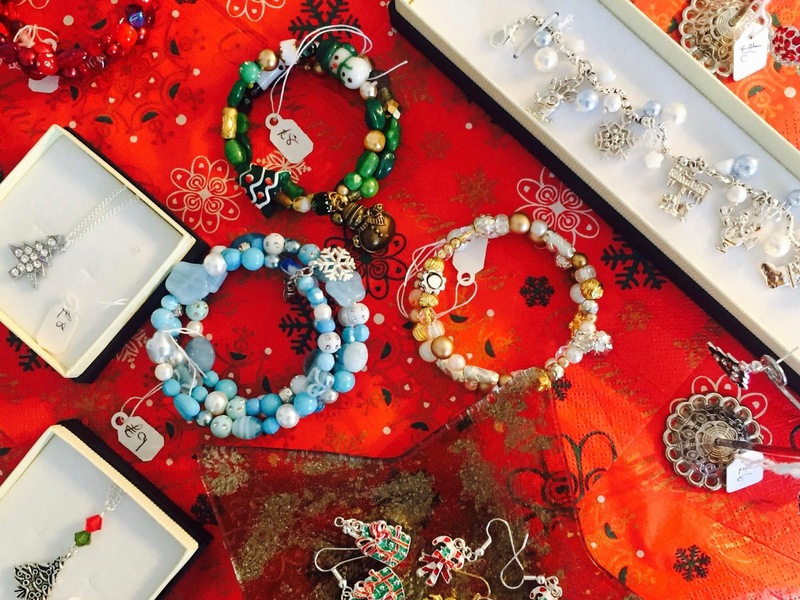 Recently, I popped along to my friend Katie's Christmas open house to have a mooch at all of her lovely, handmade jewellery that she sells on her Etsy Shop - My Beaded Treasures. I knew she sold jewellery from previous stalks, but oh my god! I couldn't believe how much of it there was! She held the event from the comfort of her living room, which gave it such a cosy feel (especially when it smelt like Christmas heaven!) and the Christmas tunes were in full swing in the background. 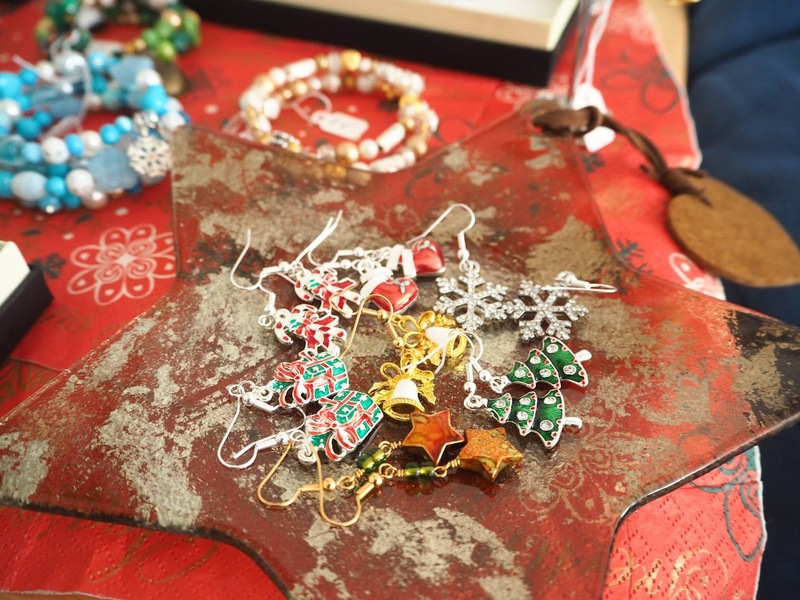 The first thing that caught my eye was the gorgeous selection of Christmas Jewellery. I loved it all so much that I ended up buying some super cute Candy Cane Earrings! I'm always really lazy when it comes to putting earrings in, so I thought this gave me the perfect excuse to start wearing them again during the festive period! 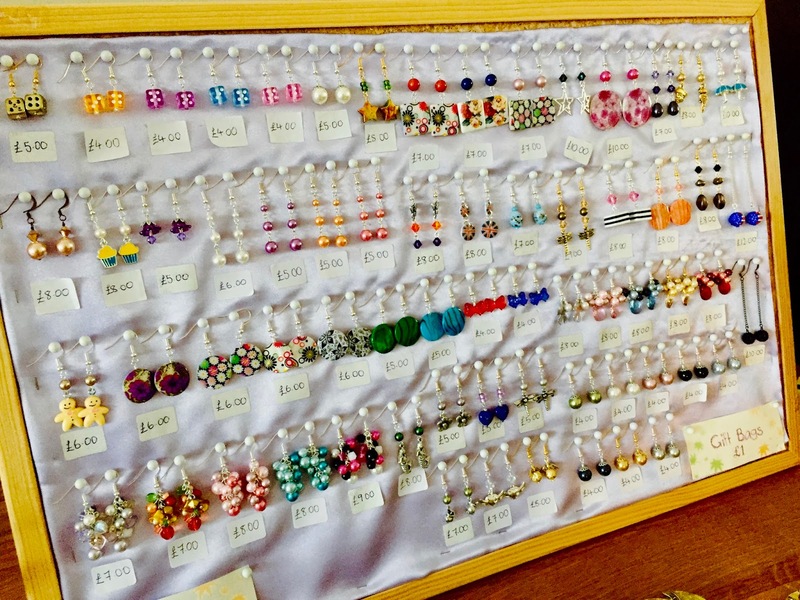 There were so many things on display ranging from earrings, bracelets and necklaces, to rings, wine glass and bag charms - all of which are made my Katie herself! My favourites from the whole collection were the Harry Potter Charm Bracelets. I mean, just look how amazing they are! The Harry Potter films are some of my favourites and I know how popular they are, so this would make an incredible gift for someone at Christmas! 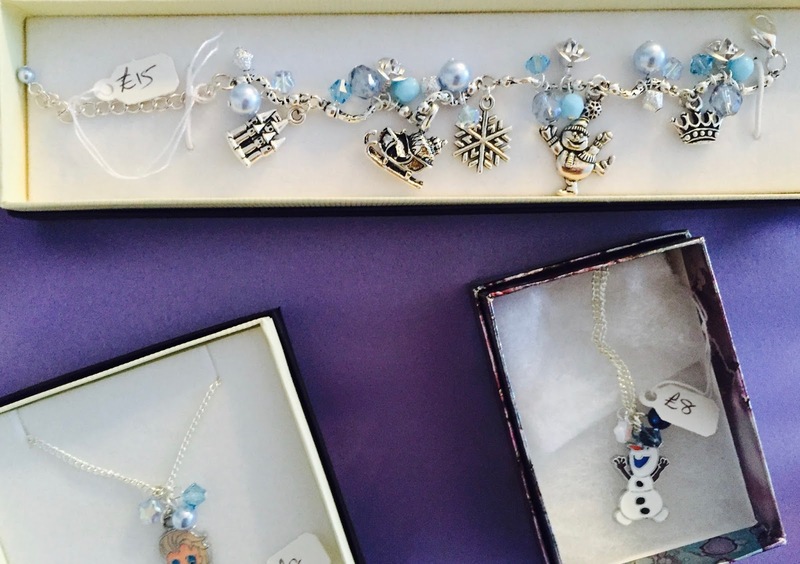 There were a number of Disney themed bits on show too, such as the Frozen Charm Bracelets and Necklaces, along with lots of other winter themed stuff! 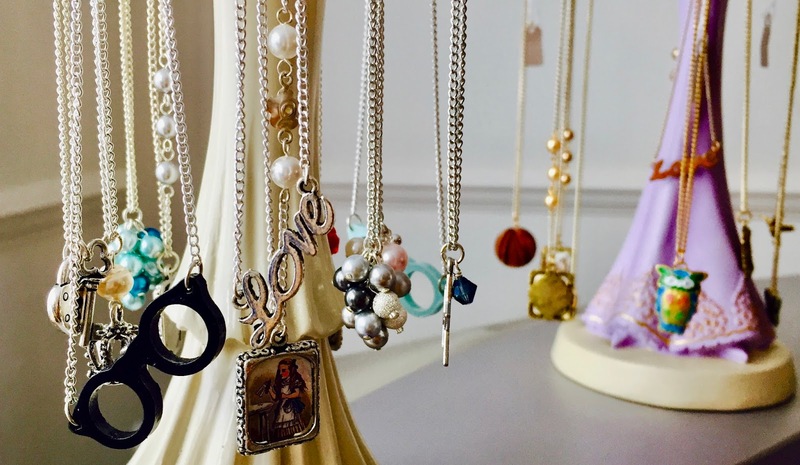 There were also more quirky necklaces (pictured below) at the other side of the room. 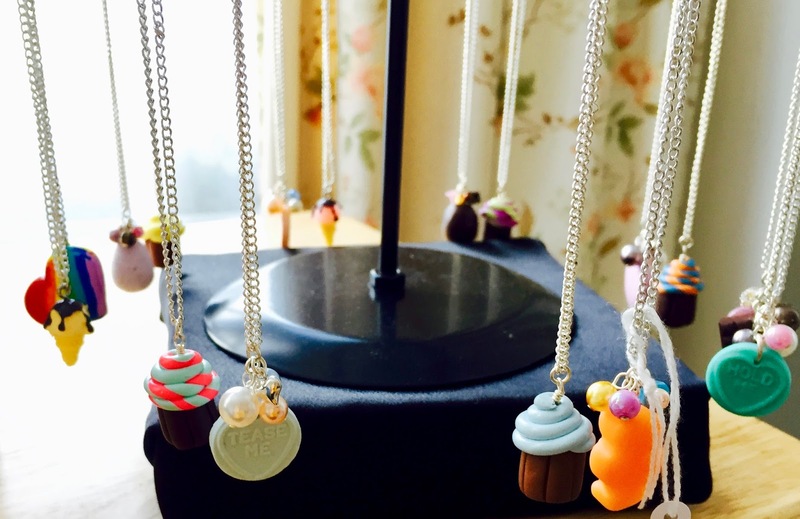 I love the glasses themed one, and the sweet inspired bits and bobs - they are so quirky! Perfect for any season! 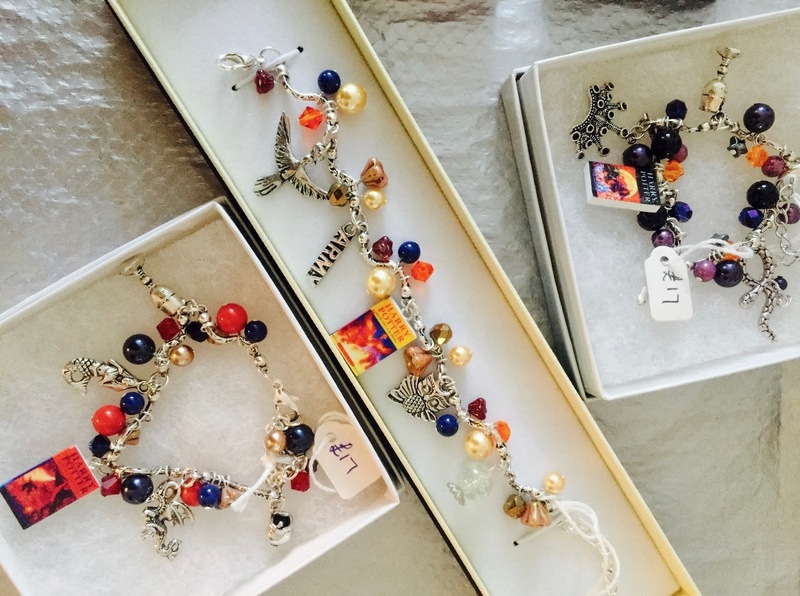 It was so lovely to catch up with Katie and everything she had on sale was so affordable, I strongly suggest you check out My Beaded Treasures for yourself! To know you're getting something handmade adds so much more of a personal touch, and even better if you're giving a gift to someone else! All of that and you're supporting a small business! These are all absolutely beautiful!! I'm going on the etsy shop right now! !